August 24, 2005; Monterey, CA; The 48th Annual Monterey Jazz Festival presented by MCI is selling tickets faster than ever for its three-day event September 16-18. Fans are advised to buy in advance to guarantee their place at the annual jazz party. Ground tickets are still available for purchase, offering a wide array of world-class jazz, shopping, food and festivities on the beautiful 20-acre, oak-studded Monterey Fairgrounds. From intimate encounters with vocal luminaries Mavis Staples and Madeleine Peyroux on the Garden Stage to powerhouse performances with the Lost Chords and the Christian McBride Situation in the Nightclub, grounds passes offer a wealth of opportunities to see jazz stars shine on the Monterey Jazz Festival’s 6 indoor and outdoor grounds stages. Families and fans can enjoy the fun and excitement at affordable grounds ticket prices while witnessing living jazz history. However, since tickets are selling more rapidly than in previous years – and carry an extra $5 charge when purchased during the festival – fans are encouraged to get their tickets to the world’s longest-running jazz festival as quickly as possible. On Friday September 16, the Monterey Jazz Festival launches its New Grooves Jazz Party with the John Scofield Uberjam Band and Banyan featuring Stephen Perkins, Mike Watt, Nels Cline, Willie Waldman, Norton Wisdom and special guests Calvin Newborn and Herman Green. With rows of chairs cleared from Dizzy’s Den, partiers can shake, bounce, dance and groove all night long to welcome the beginning of the legendary music festival. The party continues Saturday September 17 with Mavis Staples, Ledisi, Sharon Jones & The Dap-Kings, the Mighty Mike Schermer Band and O-Maya contributing their brands of blues-drenched R&B, soul-tinged gospel, and funky Afro-Latin hip-hop on the Garden Stage. The New Orleans Jazz Vipers will perform strolling around the fairgrounds, spreading the festival spirit and adding a touch of the Big Easy to the festival’s thoroughfares. Sunday’s performances will be equally entertaining, with emerging jazz talent lighting up Dizzy’s Den with some of the top award-winning high schools in the country. Sunday evening’s intimate Garden Stage concert featuring vocal sensation Madeleine Peyroux is sure to be one of the festival’s sparkling gems. The grounds festivities not only include some of the world’s finest jazz, but also a dazzling international array of food and shopping, perfect spots for family picnics, and a wide range of events and activities across the 20-acre festival site. The festival’s BET Jazz Theater, hosted by BET and Comcast Cable, offers fun for film buffs with documentaries “Miles Electric: A Different Kind of Blue” and “Brotherly Jazz: The Music and Stories of Percy, Jimmy and Albert ‘Tootie’ Heath,” in addition to simulcasts of MJF Lyons tage/Arena concerts and special features from BET Jazz. 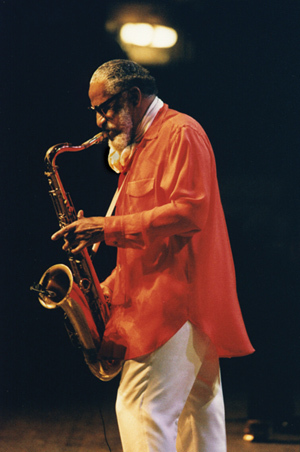 The festival also offers intriguing discussions for fans of all ages with jazz luminaries Branford Marsalis, Carla Bley, and Steve Swallow, as well as DownBeat Magazine’s Blindfold Test with John Handy hosted by Dan Ouellette. A special treat for photography aficionados, a special exhibition of photographs from the early Festival years taken by the MJF’S first Official Photographer, the late Peter Breinig, will be on display in the Starbucks Coffee House Gallery, hosted by returning Festival partner, Starbucks Coffee. And for connoisseurs of fine beverages and spirits, the new Klub Korbel will also prove to be an appealing new destination on the Fairgrounds. The result of a new partnership with Korbel Champagne, special champagne cocktails created just for MJF fans will be served on a patio spot located at the center of the midway adjacent to the Turf Club. Klub Korbel will also feature live entertainment and closed circuit simulcasts of the Lyons Stage/Arena Concerts. In addition to Klub Korbel, Korbel Champagne, Jekel and Five River Wines will be available for festival fans at all MJF bars. Partners play an important role in helping the Festival fund its Jazz Education Programs, efforts led by Presenting Partner, MCI, marking their 21st year with the Monterey Jazz Festival. Over the years, MCI has contributed over $2,000,000 to the Festival’s educational efforts. Starbucks Coffee is hosting the Coffee House Gallery for the second year in a row. In addition to making a generous contribution to the Festival, Starbucks will once again donate proceeds from its Festival coffee sales during the weekend to the MJF’s Jazz Education Programs. Also returning for 2005 are Microsoft, continuing to offer selected Lyons Stage performances, available for download on msn.music.com, in addition to soon-to-be-released archival music from the Festival’s recorded history. Yamaha, friend of the Festival and its Jazz Education Programs since the earliest days, also returns as a valued partner for Monterey, providing instruments to the Festival and to its year-round education endeavors. New Festival partners this year include JetBlue Airways, flying MJF artists across country for their performances; BET and Comcast Cable, hosting the BET Jazz Theater; Korbel Champagne, introducing Klub Korbel; the San Jose Mercury News as a media partner; and the Land Rover, generously offering a two-hour lesson at its Land Rover Experience Driving School at Quail Lodge in Carmel Valley to the Festival’s silent uction. The Monterey Jazz Festival’s jazz presentation and jazz education programs are also made possible in part through the generous support of several exceptional grantors. The Monterey Jazz Festival is proud to thank the National Endowment for the Arts for its support of the 48th annual Monterey Jazz Festival, the Monterey Jazz Festival Commissioned Artist Program, and the Monterey Jazz Festival Artist-in-Residence Program. The Monterey Jazz Festival is proud to thank the NEA/Jazz Masters on Tour Program, an initiative of the National Endowment for the Arts sponsored by Verizon in partnership with Arts Midwest, with additional support provided by the Doris Duke Charitable Foundation through a grant to Chamber Music America. The Monterey Jazz Festival is also proud to thank the William and Flora Hewlett Foundation for its long-time support of the annual Monterey Jazz Festival and its year-round jazz education programs. The Festival thanks many other generous grantors and individuals who support MJF year-round youth jazz education programs. Grounds tickets are on sale from the MJF Ticket Office (925/275-9255) and online at www.montereyjazzfestival.org starting at $30 for daily access to grounds concerts, events and attractions. Tickets purchased during the festival will carry an additional $5 charge. This entry was posted on Thursday, August 25th, 2005 at 4:58 pm. It is filed under Monterey Jazz Festival. You can follow any responses to this entry through the RSS 2.0 feed.